Dr. Ho MBBS, FRCS (Glasgow), FRCOphth (U.K.), FAMS is the founder and director of Clearvision LASIK Centre. He is a well-known and respected figure in Singapore’s refractive surgery arena. In 2007, the Singapore Medical Journal asked Dr. Ho to write a special editorial on “The Development of Refractive Surgery”. Dr. Ho’s passion in refractive surgery gave him a vision to develop the Clearvision LASIK Centre, the pioneer dedicated private LASIK facility in Singapore in 2001. The success of Clearvision has spawned the emergence of several similar centres and entirely changed the LASIK landscape in Singapore. So much so that today Singapore is perhaps the world’s most competitive LASIK marketplace. Dr. Ho is a recipient of the prestigious Singapore Public Service Commission Merit Scholarship. He has spent a few years in higher specialist training in renowned centres around the world including the Tennant Eye Institute of Glasgow, Scotland, the Moorfields Eye Hospital of London, U.K. and the Bascom Palmer Eye Institute of Florida, United States. In 1990, Dr. Ho was awarded the Ministry of Health Higher Manpower Development Plan Scholarship to pursue sub-specialty training. Dr. Ho applied and was accepted into the very prestigious Bascom Palmer Eye Institute that has been voted for many years by the respected US News & World Report as the number one eye hospital in the US. Thus Dr. Ho is the among the early Singapore eye doctor to have a fully accredited USA eye fellowship certification who were the trail-blazers for many more doctors to follow. In 1990, Dr. Ho published a landmark scientific paper describing a method of iridotomy for angle closure glaucoma patients. His sequential Argon-Yag laser iridotomy: is now widely employed by doctors around the world as the de-facto standard method of iridotomies in dark brown irides. In 1991, Dr. Ho as a Senior Registrar with the Singapore National Eye Centre made a proposal for childhood myopia research that was to be seed for many subsequent landmark scientific papers on the subject. 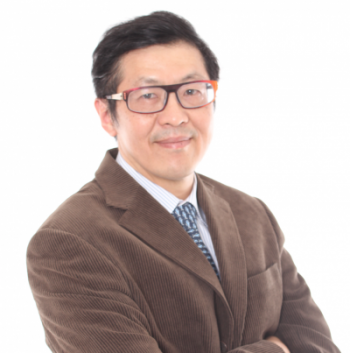 Dr. Ho has also authored numerous scientific papers and three books on eye care. His first book, “The Complete Eye Care Book” garnered the Singapore National Book Council Merit Award in 1994. His second book, “18 Steps to Myopia Control” has received 5-star reviews on Amazon.com. His third book, addresses the two ophthalmic issues closest to the public’s heart namely “Childhood Myopia and Lasik Surgery”. As a well-known and established eye surgeon, the local and overseas media such as Reader’s Digest frequently seeks Dr. Ho’s views on eye care issues. Please call 6100 2020 to enquire or book an appointment with Dr Tony Ho.